Welcome! Trinity Choir is a small, but enthusiastic, group of amateur singers. We welcome all who wish to participate in the music portion of our worship. No audition is required. Our music is an eclectic mix – everything from classical to spirituals. 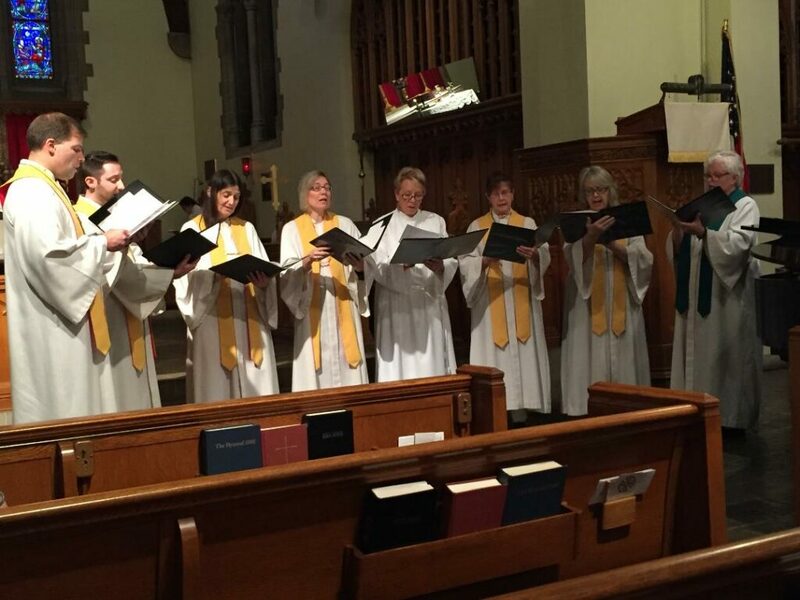 We rehearse on Sunday mornings at 9:30 in the sanctuary. Our choral season usually begins the end of August, and continues through the Sunday of Pentecost. If you want to join, or just try it out, feel free to come to a rehearsal. For more information or questions about the choir contact Jane Lightfoot (the Minister of Music) at olddanfan@yahoo.com.